Most people shy away from dance fitness classes because they are afraid they have two left feet. Some are intimidated by the idea of dancing in front of others in a room full of mirrors. 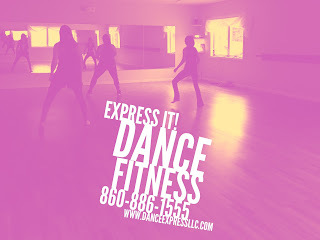 However, dance fitness classes are one of the most enjoyable way to get your cardio in! Dance fitness classes provide a fun and sweaty workout - even for those who consider themselves uncoordinated! Dance fitness classes are fun for everyone; most classes work at all levels offering modified movements for beginners or those with injuries and ways to add difficulty for the more advanced. For most dance fitness classes, no previous dance experience is necessary. Dance fitness classes utilize different muscle groups and offer a full-body aerobic workout. Often, different routines help to tone and shape different muscle groups. And, typically, dance fitness classes engage the core throughout the entire workout. Cardiovascular conditioning.Strengthening of the legs and feet.Increased flexibility in the hips, knees, and ankles.Improved coordination.Increased cognitive abilities.